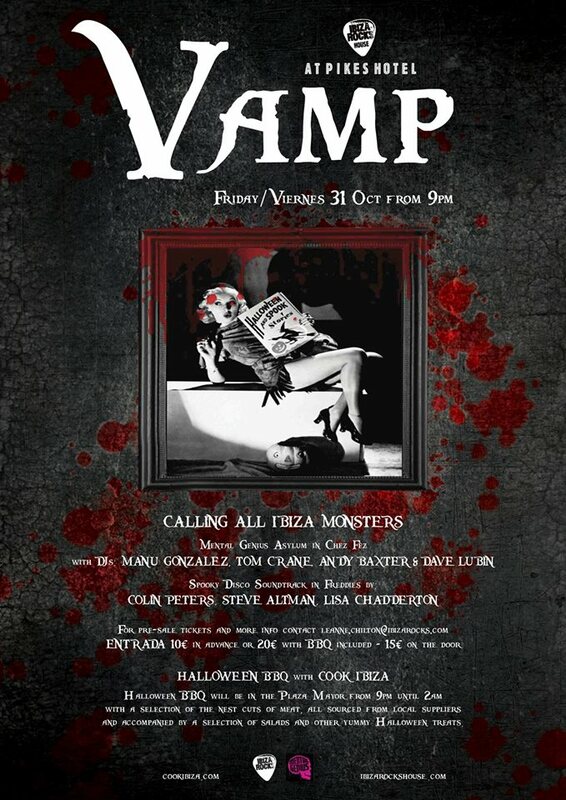 Back for the third year running, VAMP, the Halloween brainchild of JILLIAN CANNEY and LEANNE CHILTON, is gearing up to be even bigger and bloodier than ever this Friday 31st October with a night of bone-shaking, eye-popping madness planned for the island’s favourite haunted house on the hill, Ibiza Rocks House at Pikes Hotel. Providing the killer soundtrack in Freddie’s Suite, DJs COLIN PETERS, STEVE ALTMAN, SCOTT GRAY AND LISA CHADDERTON are all confirmed to keep the monsters on the dancefloor, whilst in the Zombie Shelter, a fabulously ghoulishSUNNY will be hosting SCAREOKE from midnight with prizes for the most petrifying performances of the night. Sneak through our cemetery of deadness and poke your head into the Potting Shed where we’ll be serving up a spectacle of deathly delights and creepy cocktails. Over to Chez Fez where MENTAL GENIUS DJ´s TOM CRANE, MANU GONZALEZ, DAVE LUBIN and ANDY BAXTER will be rattling the rafters from dusk till dawn with their morbidly mischievous Halloween beats. As far as eats go, Cook Ibiza are back with a feast to satisfy even the hungriest of critters, with a Halloween BBQ in the Plaza Mayor from 9pm that includes a selection of the finest cuts of meat, all sourced from local suppliers and accompanied by a selection of salads and other yummy Halloween treats. Advance booking is recommended. 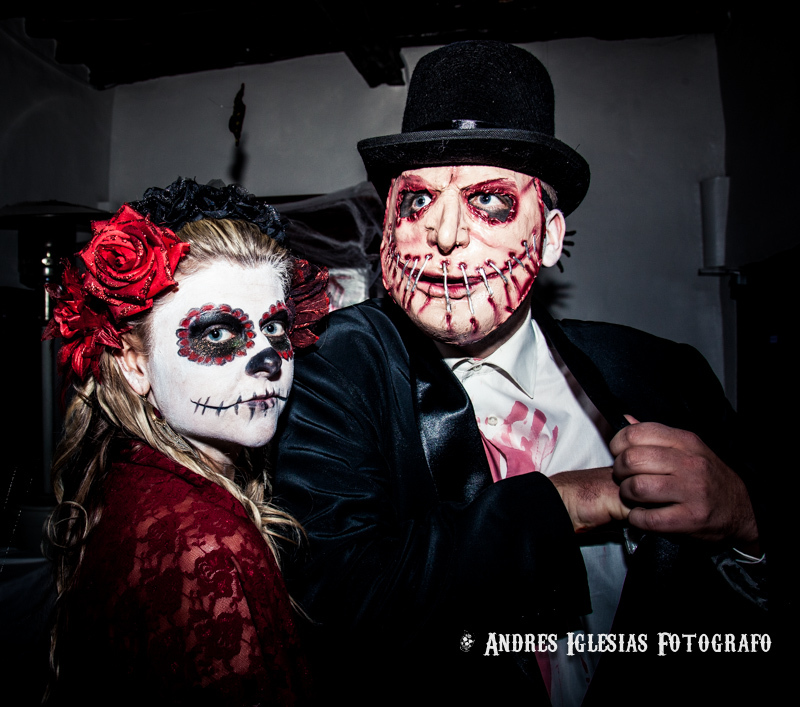 Ibiza Rocks House will be dishing out prizes to those for the best Halloween costumes including dinner for 2 with an overnight stay for our opening party next year. Following last year’s amazing effort, fancy dress is a MUST. Think vampires, werewolves, witches, ghouls, ghosts, zombies, monsters and mummies – get creepy and get creative! Also, due to popular demand, our annual Star of the Halloween Show, The Gnarly Witch will be back, bigger and more evil than ever before, lurking in her dark corner, awaiting for her next willing victim. Tickets are now on sale at 10€ in advance or 20€ with BBQ included. 9PM UNTIL 2AM: BLOOD RED PORK RIBS; PULLED FROM THE BONE PORK; WHITE FISH PAPILLOTE WITH BLOODTEARS DRESSING; BEETROOT SALAD; PUMPKIN SLAW; PUMPKIN BREAD; MIXED BREAD; LASHINGS OF UPSIDE DOWN CHEESECAKE. PLUS VEGETARIAN OPTIONS. October 29, 2014. Tags: DJ's, halloween, ibiza, ibiza rocks, jill canney, leanne chilton, monsters, party, pikes hotel, VAMP, Vamp Rocks, vampires. Uncategorized. Leave a comment. Una noche de sonidos sangrientos, trucos terroríficos y frikis fabulosos! 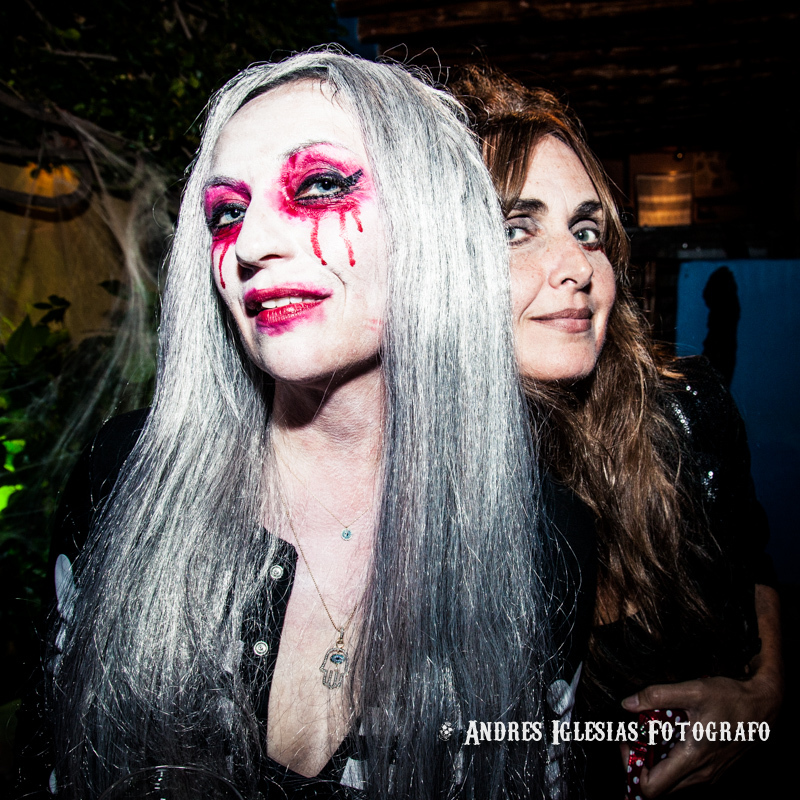 Por tercer año consecutivo, está de vuelta la fiesta de Halloween más aterrador de la isla, nombrado VAMP y tomando lugar este viernes 31 de octubre a partir de la 21,00h en la casa encantada de San Antonio: IBIZA ROCKS HOUSE en PIKES HOTEL. 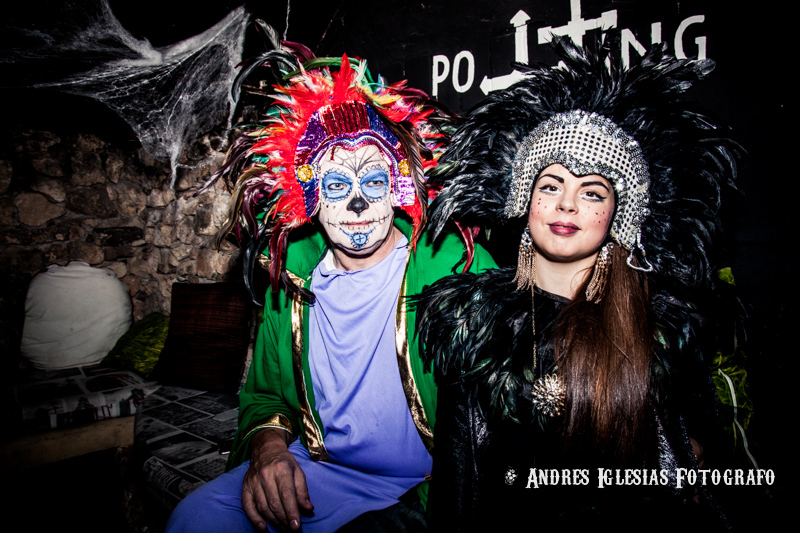 Una celebración de la fiesta pagana de Halloween que se ha convertido en uno de los aspectos más destacados del calendario de fiestas de Ibiza en los últimos años. 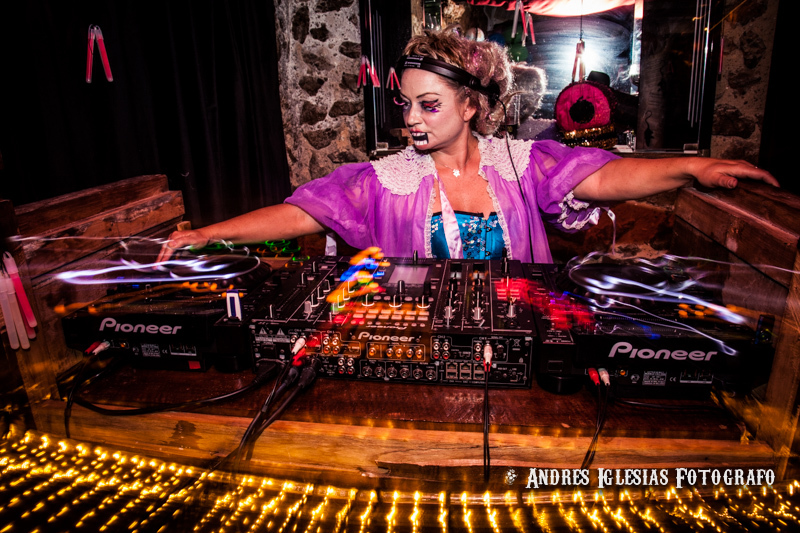 Hecho por Jill Canney(Can Fix Ibiza) y Leanne Chilton, Gerente de Eventos del mismo Ibiza Rocks House, este evento reúnen a los residentes de la isla y los turistas sobrantes para pasar una noche de magia y picardía, todo hecho, por supuesto, con unos disfraces de los más espectaculares y espantosos. Desde la cabina del caos, y para entretener a la pista de baile, una lista de DJ’s pinchando una mezcla de estilos que realmente sirve para mover los pies de todos los asistentes asustantes, entre ellos COLIN PETERS, STEVE ALTMAN, SCOTT GRAY y LISA CHADDERTON mientras en el cuarto de CHEZ FEZ, los MENTAL GENIUS DJ´s TOM CRANE, MANU GONZALEZ, ANDY BAXTER y DAVE LUBINmantendrán la fiesta a full hasta que los fantasmas y demonios se retiran a sus tumbas. Para comer, Canney & Chilton han preparado una oferta gastronómica para satisfacer incluso los vampiros más hambrientos, de la mano de COOK IBIZA y ser encontrado en la Plaza Mayor del hotel Pikes de 21,00-02,00h; se recomienda reservar. Aparte de sorpresas y sustos, habrá premios para el mejor disfraz, entre ellos una cena para dos en el restaurante Room 39, en la apertura de Ibiza Rocks House 2015. Por lo tanto, haceros un esfuerzo y pensar en brujas, hombres lobo, fantasmas y demonios, vampiros, monstruos y todas las demás criaturas de la noche, que sean espeluznante, así como creativo. Además, en el baño, el retorno del SCAREOKE por Sunny Ramzan y no mencionar, la Malvada Bruja se retoma su residencia con sus pociones mágicas y hechizos horribles.Todo eso, además de lecturas de cartas de tarot, estrellas de rock muertas y muchas más cosas espantosas. En fin, una Halloween inolvidable. Entradas ya están a la venta a 10 € anticipada o 20 € con barbacoa incluida. 21h-02h Una carta que se incluye de costillas de cerdo, cerdo tirado del hueso, pescado blanco con salsa, ensalada de remolacha, pan de calabaza, postres y opciones vegetarianos y mucho más. 00-04h El Rey de Karaoke Sunny Ramzan le pondrá a cantar sus canciones y gritos favoritos. October 28, 2014. Tags: can fix ibiza, fix ibiza, halloween, ibiza, ibiza rocks, jill canney, leanne chilton, pikes hotel, Vamp Rocks. Uncategorized. Leave a comment. 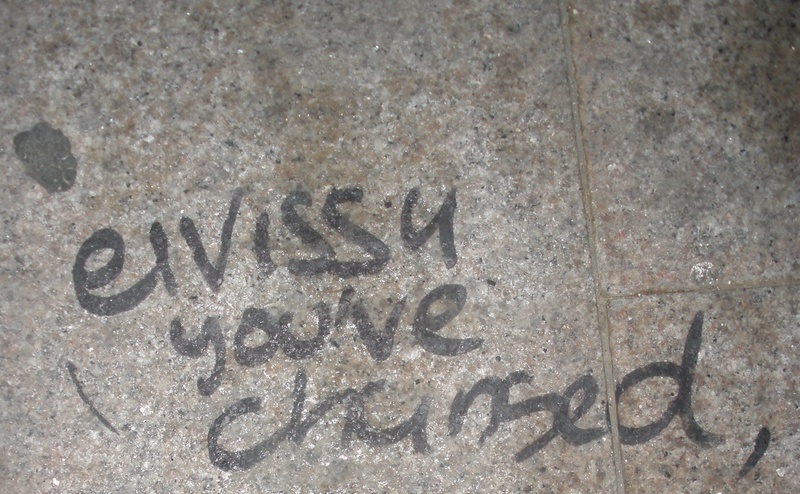 Well, well, well, here we are in 2011, and at FIX Ibiza , we are just welcoming the year ahead with open arms. With the first of our New Year’s Resolutions already up and running- that is, the writing of this very blog, we are off to a good start. And whilst my most cari darlin’ friend and business partner Elena Toga Sanchez has already given you the lowdown in Spanish on FIX as a PR Consultancy company, I guess it’s down to me, the other half-Jillian Maria Canney- to do the same in English. In a nutshell, FIX Ibiza is the result of a chance meeting between two wee party animals on a random night out back in 2004. One of them(La Irlandesa) was DJing at the time- moi- the other(La Española) was jumping about like a bloody lunatic to an all time classic, Roots Manuva’s ‘Witness the Fitness’. And there it was, the tune that brought us together. It was to be the start of a beautiful friendship, one which went on to culminate in the Fix Two running their own party- GIRLZ SKOOL- for several years in venues across Ibiza and further afield. But then, the time came to get really serious, and we decided to take our cojones in our hands, metaphorically speaking of course, and set ourselves up as a legit PR &Events company. The culmination of our work experience until that point seemed to suggest that many of the necessary ingredients were already in place for such a mission- now, all we needed was the business acumen. I had already been working for our first client- Ibiza Rocks-for a few years when we took the plunge to set up FIX and it was with great pleasure then, that the live music brand became the very first project that we got our teeth stuck into. As far as that one goes, and since that time, we have managed the PR and Communication for Ibiza Rocks, placing it firmly on the media map as the island’s most talked about brand. As part of our role within that, we have also successfully managed to convince the local authorities that here was something that could help turn around the press-led negative image of San Antonio, the town in which the events take place.Time went on to prove just that, culminating in the San Antonio Town Hall selecting Ibiza Rocks as one of two of the most interesting offers to be showcased at the recent World Travel Market in London. No mean feat. We’re very proud! Since those early days, our client-base has steadily increased, working with not only local brands but also with those from U.K and further afield whose end game is to have a presence on the island of Ibiza. Amongst other campaigns and/or events that we have rather successfully managed, we can quote XBox, MTV, Mallorca Rocks, Manumission, Pure Form, The Barefoot Doctor, Carl Cox & Friends, Urban in Ibiza, Ibiza Town Hall, Sant Joan Municipality, Guru Josh Art, Dance 4Life, Can Rich Hierbas Ibicencas, Joves Empresaris, EarthDance/EarthRun, Ibiza Music Cluster and Casas Rurales de Sant Joan. Amongst a few…. So, three years down the line and we are rather pleased with our progression. And as we storm, PR guns a blazing into 2011, we can only hope that that progression continues to develop at the happy pace in which it already has. We hope that, through this blog, we can begin to show you the real Ibiza Uncovered- and believe us that will be nothing like the old one! January 13, 2011. Tags: elena sanchez, events, fix ibiza, ibiza, ibiza news, jill canney, PR. Uncategorized. 2 comments.